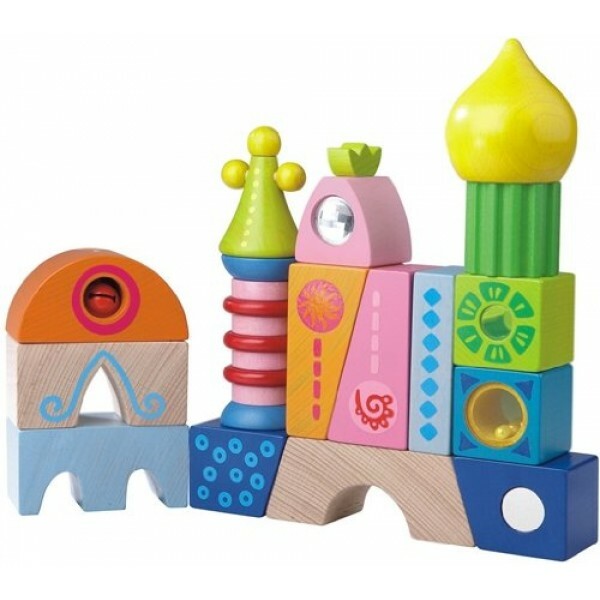 HABA's wooden Cordoba Building Blocks are cheerful, whimsical, and full of surprises: a little jingling bell, a prism, encased rattling pearly beads, a mirror, and lots of topsy-turvy bright designs. 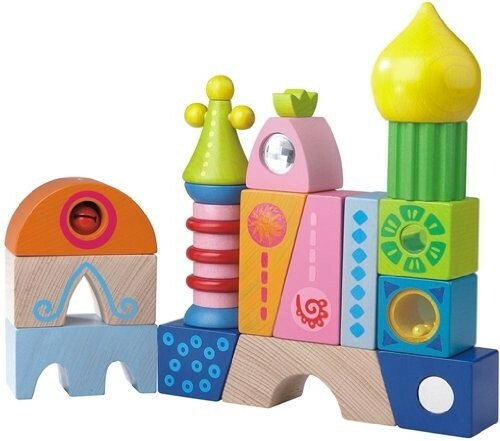 A wonderful, unique building blocks set that will keep young children busily employed using their imaginations! Includes 16 smooth, finely sanded beech wood pieces, finished with non-toxic, child-friendly paint.